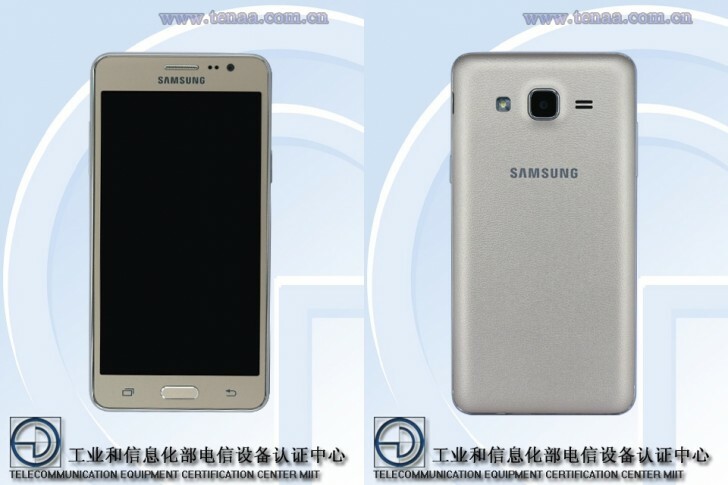 A yet to be revealed Samsung Galaxy Grand On made its way through TENAA in China. The handset sports the model number SM-G5500 and features support for Chinese TD-LTE networks. Specs-wise, Samsung Galaxy Grand On is listed to pack an unknown chipset with 1.2GHz dual-core CPU, 1GB of RAM, and 8GB of expandable storage. A 5.1” 720p display, 8MP main camera, and 5MP front-facing snapper are also on board. The Galaxy Grand On boots Android 5.1 Lollipop. The physical measures of the Galaxy Grand On are 142 × 71.9 × 8.5mm. Its weight tips the scale at 140 grams. It is worth noting that Samsung Galaxy Grand On has leaked in the past as Galaxy Grand O5. The handset will likely kick off a brand new Samsung model range when it makes its official debut in the near future.